Today’s recipe featuring yoghurt is mashed potatoes. 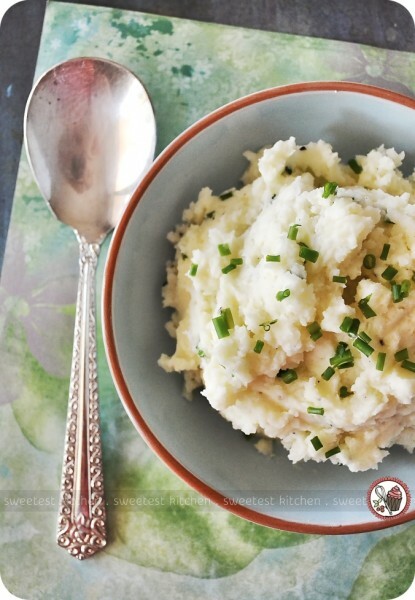 I have a long-term relationship with mashed potatoes; I have always loved this simple and classic side dish. Believe it or not, I actually grew up with instant mashed potatoes. Yes, I can see some of you wrinkling your noses at that! It’s all I knew at the time, and I loved them. Every once in a while, though, we’d go out to eat and I’d order *real* mashed potatoes. One restaurant in particular served creamy mashed potatoes with chunks of potato and shreds of potato skins; I loved these the best. Whenever I made mashed potatoes, after I moved out of my parents’ house, I made the instant kind. For some reason, I was under the impression that real mashed potatoes were a lot of work and took a long time to cook. Then I moved to Australia and discovered that there was no such thing as instant mashed potatoes! I had to learn to make the real version. And you know what? It was really easy! So I’ve been making real mashed potatoes for years now. And yes, I still prefer them chunky and sometimes (just sometimes) I’ll throw in a bit of potato skin too (not for today’s recipe, though!). Side note about the above photo… why is there a teepee in the background? Well, my daughter made it to talk about Thanksgiving in her class last week (we don’t have Thanksgiving in Australia, so she wanted to share a bit about it). It happened to be sitting on the table when I was ready to photograph the potatoes. It made me think about Thanksgiving at my grandma’s house and how I always loved her mashed potatoes. I arranged the teepee in the background to give it a sort of Thanksgiving-feel. Not sure if it worked, but there it is anyway! Mashed potatoes do bring back lots of memories for me, come to think of it. My parents used to make the instant version in a white pan that had a red checkered pattern on the outside. The paint was all flaking off the pan, too. I wonder how much paint we actually ate with our potatoes!? Yikes! And of course, of grandma’s mashed potatoes at Thanksgiving. I wonder if her potatoes were instant or real? Funny that I’ve never asked about them. And how I always ordered mashed potatoes as a side dish at restaurants. My first go at real mashed potatoes. And, mashed potatoes were a huge focal point of my cravings in the early months of my first three pregnancies. The mashed potatoes I made for today’s post are made with 100% real potatoes. 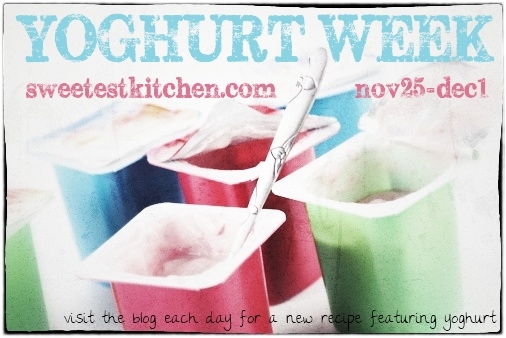 There’s a bit of butter, of course, and also tangy Chobani 0% non-fat plain Greek yoghurt. The recipe comes from Chobani Kitchen and will make an excellent side dish for your steak, chicken, pork or lamb. Just a quick note about the recipe… I might have had a bit more potato than was recommended in the recipe as the mash wasn’t creamy whatsoever after adding the yoghurt. I had to add a bit of warm whole milk to get a creamier consistency. With the salt and pepper; I didn’t even bother to measure. I already know how much seasoning I like in my mashed potatoes. My advice? Put the instant mash aside, and devote just a few minutes of extra time to making real mashed potatoes. 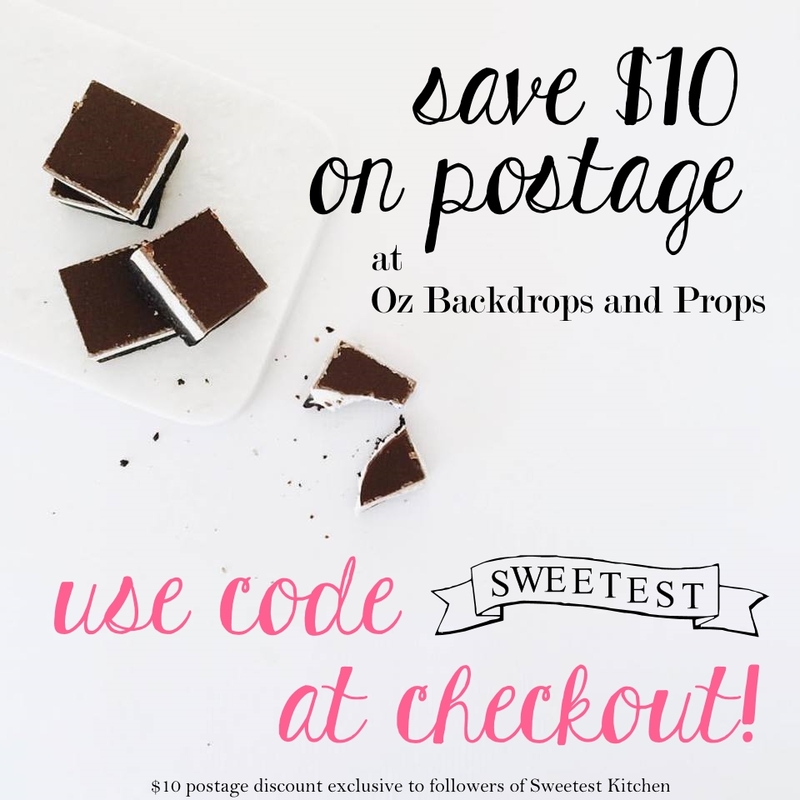 It’s easy to make and healthier for you! 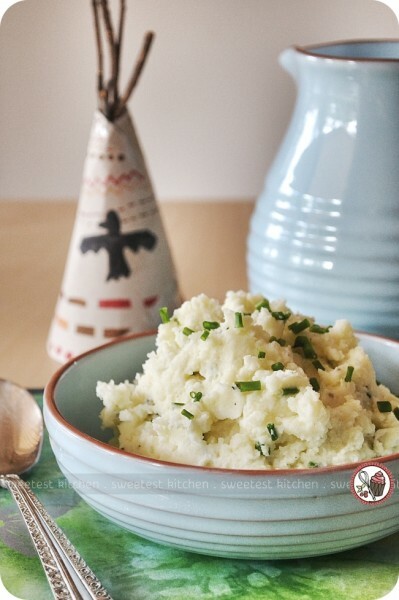 One of my favorite side dishes, mashed potatoes with the added bonus of creamy Greek yoghurt. Bring a large pot of water to a boil. Add potatoes and cook until tender, about 15 minutes. Drain and transfer potatoes to a large bowl. Pour in warm broth and mash the potatoes. Stir in Chobani, butter, chives, salt and pepper. Serve immediately.